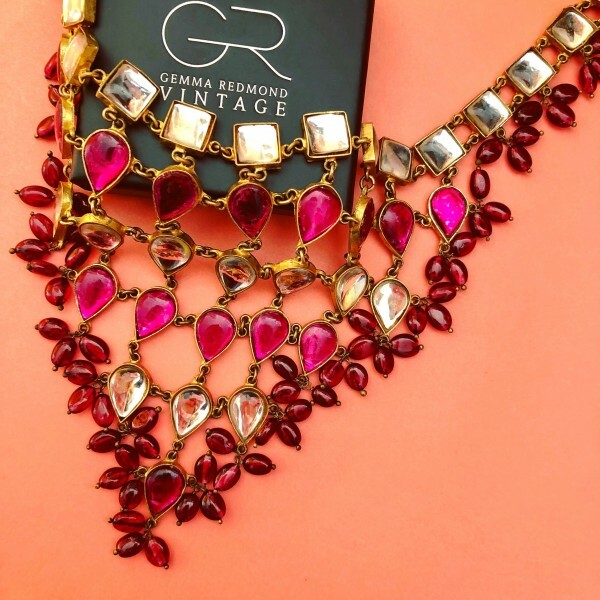 This spectacular necklace is a true collector's piece. It was created in the 1960s by Kenneth Jay Lane. Very Good - The metal reverse shows some signs of darkening and around 4 of the mirrored panels have some minor foxing marks on them. This is consistent wih age and use and does not detract from the appeal of the piece. This fringed, choker style necklace is constructed from gold tone metal. It is detailed with bezel set, pink and clear mirror glass panels in teardrop and square shapes. It features clusters of cranberry coloured poured glass beads too. The necklace is adjustable in length, fastening with a hook and eye mechanism, the open-link chain of which which ends in a round, clear mirror glass charm. The necklace can measure up to 35.5cm in length. The 'drop' of the necklace (from top to bottom) is 13cm. The necklace is signed 'K.J.L.' is stamped on the reverse and it also comes with its original box. To learn more about Kenneth Jay Lane jewellery, visit our 'Designers' section. Kenneth Jay Lane's Indian inspired jewels of the 1960s are some of his most famed and collectable pieces. 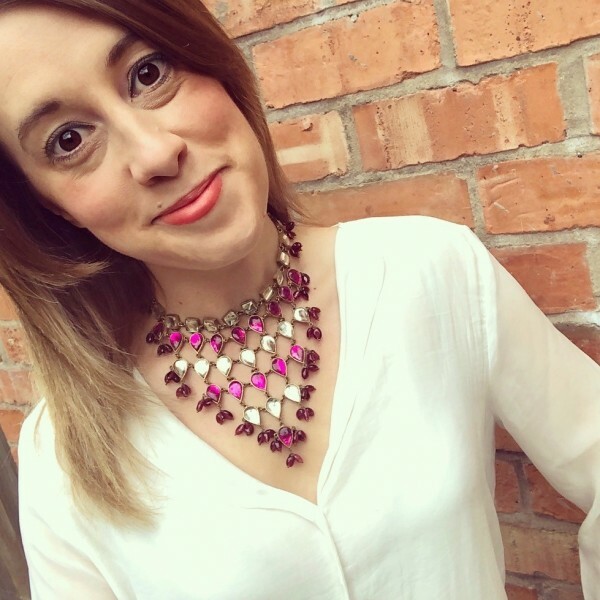 This necklace is a particularly lovely example of his Mughal style collections. 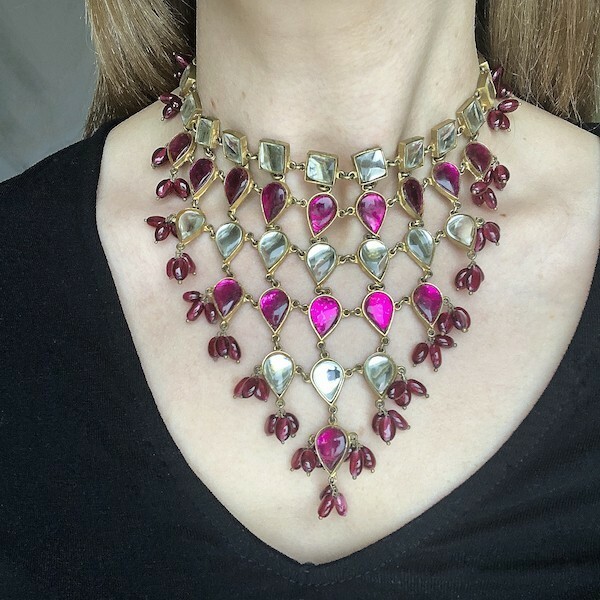 Use of vivid rubies, heavy stonework, bright golds and quality beads are all features that typify the style of jewellery that originated in Northern India five centuries ago. We can see them reflected in the design of this necklace. Indeed, Kenneth Jay Lane's work was influenced both by other cultures and the creatives of the past. Pair this necklace with the plunging necklline of a maxi dress.